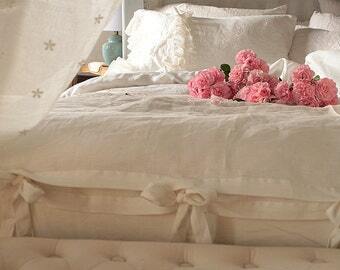 A pure linen ruffles pillowcase made from linen of exceptional quality that has been specially imported from Europe. 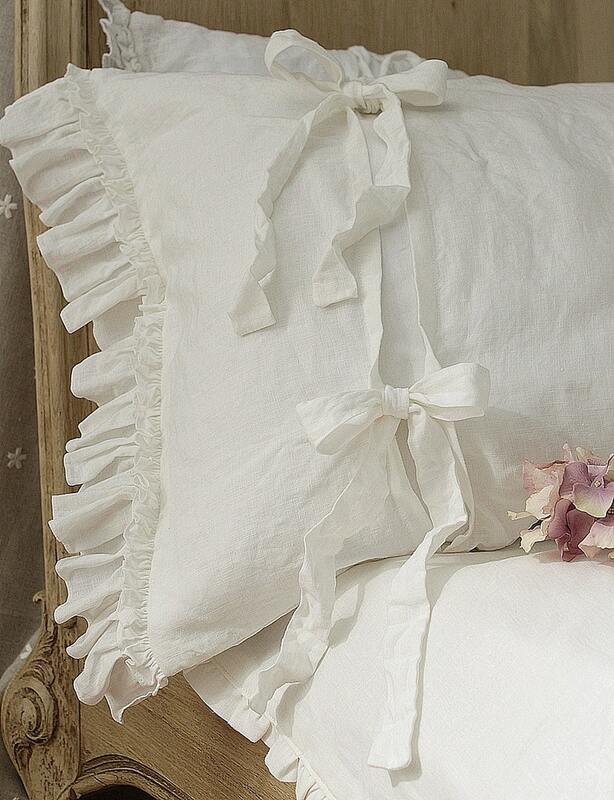 This fabric is light and velvety to the touch, and the pillowcase is finished with hand formed double ruffles. 2 long fastening ties. 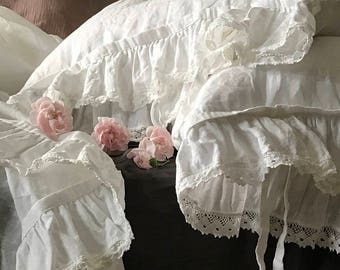 Description: pre-washed off-white, soft light or natural grey pure linen light/medium weight 160gr/m; cute double ruffles finish on one short side; attractive 2 long fastening ties. 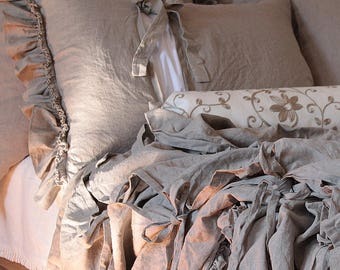 I use Lithuanian linen. It is more expensive than others but exceptional quality. Lithuania as a member of EU has safeguards in place regarding environmental and labour standards. © 2015 All designs, photos and descriptions are protected by Polish copyright. Copy or reproduced are prohibited. Really really beautiful and well made! Thank you! WOW ! These are magnificent, so pretty and perfect, I absolutely love them GORGEOUS !